In addition to being a client success manager here at IMPACT, I, like many of us, have a side hustle. Back in 2013 my husband and I started a hard cider company. We packed up our life in Boston and we moved to my husband’s family’s farm in New York State to turn a home cider making hobby into a business. That business now has distribution in five states and two retail locations in NY, with plans to expand even further. As with any small business, we both wear multiple hats, and we’re a good team. He makes the cider and runs our retail locations and I’m in charge of all of the business stuff. We tag-team the rest including marketing. He does social media and I work on label design, sales material design, and everyone in the company (we’ve got about 15 employees) helps staff events and sell product out in the market. Neither of us has a business degree or MBA in marketing and we never had an award-winning business plan but we’ve both been in sales, marketing, and customer service long enough to hold our own in this competitive marketplace. We have very much learned by trial and error and we’re okay with that. Below, I’m going to share some of the knowledge that’s come along the way, but first, a little history. 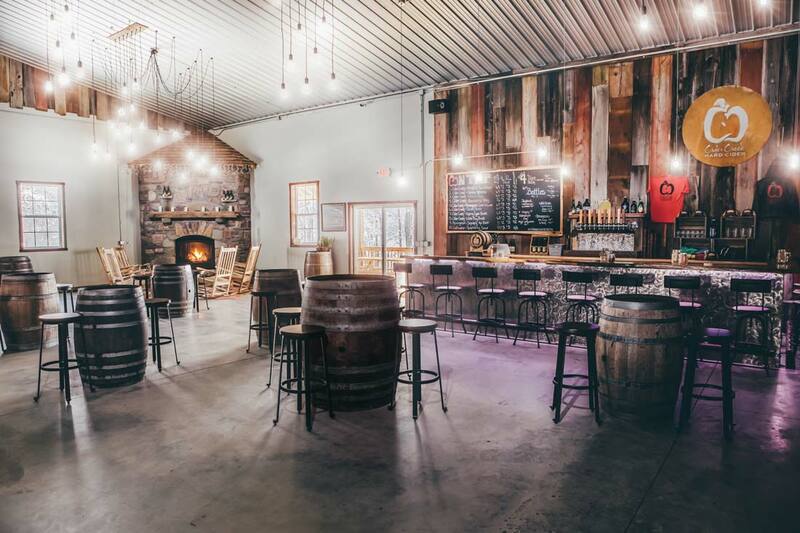 1) Those that are well-funded with a few million in the bank, huge tasting rooms with tons of brewing capacity, world-class design, and websites. 2) The other type is self-funded or modestly funded, starts out as a hobby, builds a small tasting room, experiments distributing in growlers or cans, expands to kegs, and then may eventually sign on with a wholesaler. We didn’t quite fit into either of those buckets. We created our own rules and followed our instincts with a $25,000 investment to get us started. My father-in-law also helped us retrofit an old equipment barn into the original cidery. A neighboring farmer with an apple press helped us press the first 2,000 gallons of New York state apples into cider - and off we went. We hand-bottled 200 cases, drove them to Massachusetts, and sold out in a weekend. Shortly after that we secured wholesale distribution in MA and were picked up by a wholesaler in Manhattan. Since this isn’t a post about how to start a cider company, I’ll spare you all of the rest of the details. Everything that’s happened since has given me all of the following about building a brand. The story or purpose behind your brand is just as important as the product you create. Our purpose and story are quite personal. My husband grew up on the farm where we now live and have our business. The farmer that helped us press our first batch of cider, taught his older brother how to make hard cider before my husband was even born. It became a family hobby and my husband, in particular, loved it. He always wanted to start a family business, preserve the farm, and keep the land in the family. Then, as more and more people tried his cider (made only from NY apples, with no added sugar and when fruited, only natural fruit or fruit puree) they encouraged him to go for it. 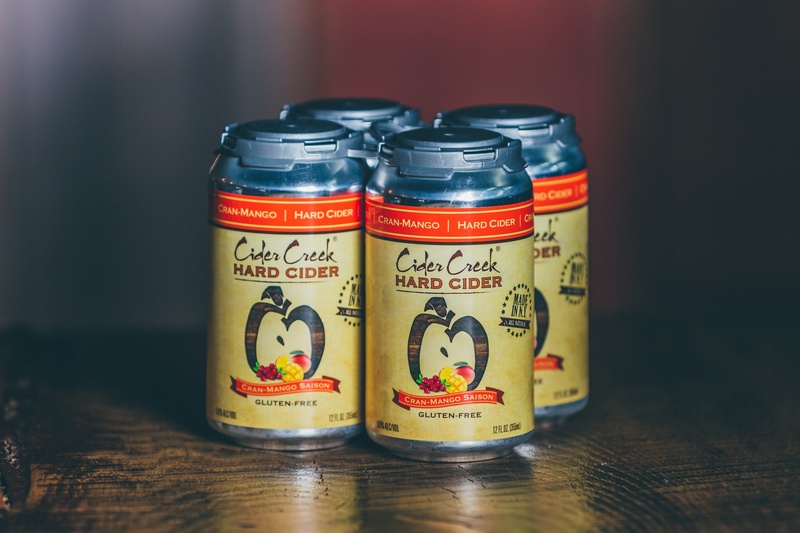 Our mission became to create a regional consumer hard cider brand that was as pure and as authentic as can be. At the time, it was a unique concept here in the US, while overseas cider has been made this way since cider was even a thing. We hit the market at the exact right time and consumer feedback was great. People liked that our cider tasted like real apples and not candy. They liked that we used different yeasts and made a funky product. We had differentiators, a product, purpose, and authenticity that people could support, and we started to build an audience. I’ve seen many craft beverage brands fizzle out because their owners didn’t understand the importance of being their brand. No, that’s not a typo. In the beginning, the owner(s) is the brand. In this industry, we have the privilege of being able to access buyers very, very easily and it’s really a fun sale. 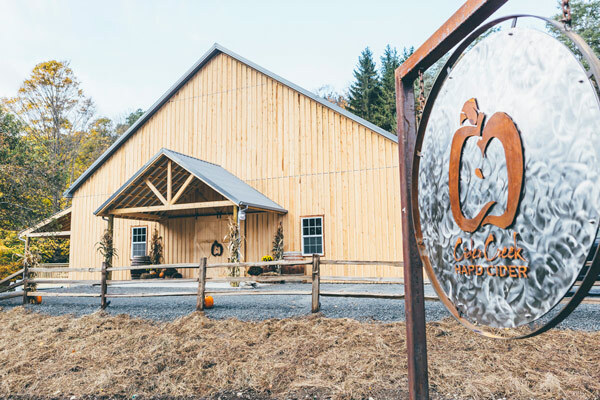 They are open to trying anything once and love to buy directly from the owner or beverage maker because of mutual enthusiasm for the craft beverage category in general. Buyers want to buy directly from the source because they get to feel that passion, learn about the story behind the brand, and build industry comradery. If the owner isn’t willing to get out and visit customers, other owners will, your shelf space will diminish and so will your tap lines. As your company grows, yes, this may not be scalable, but as hires are made, ensure that every hire is equally as passionate about your purpose as you are. If you and those representing your brand are not passionate when selling your product, people won’t be passionate about buying it. Every choice you make about the way you present your product matters. When it comes to beverages, consumers judge the book by it’s cover. What type of bottle or can do you put your product in? What are you going to call it? What will the label look like? Containers, names, labels, wording, color, font, font size, carrier type and more all determine whether or not a consumer takes your product off the shelf or if they choose a competitive product. Your packaging must sell itself. It can’t be boring and it has to be just as beautifully attention-grabbing in dark bars as well as fluorescently lit grocery stores. Study your competition, make sure your packaging is different from theirs. And most importantly, keep a common branding theme throughout your packaging. For us, our inverted C’s that create the “apple” in our logo is always smack dab in the center of our labels. In fact, no matter what we put our logo on,because we’ve used that apple so prominently, our consumers recognize our brand by just the apple alone. No matter how you “package” your product, do it professionally. For most brands, this typically comes back to your website. Ensure you give a value statement, tell people what value they will receive, as a result of buying your product or service. Ensure your design elements are strategized and are consistent across your website, social media, branded assets and sales collateral. Cross-platform branding consistency is a must. Almost contradictory to the above but not quite, the package grabs the consumer’s attention when you aren’t there to hand sell it but the taste keeps customers buying the product. In other words, substance trumps style. You may buy a bottle of pretty wine but if it’s terrible, the pretty factor won’t make you repurchase. If that wasn’t true, Angry Orchard would outsell us all day long. The proof is in our best selling product by far, Cran-Mango Saison. Consumers first were able to taste the product in our retail tasting room, but because it was so popular, we decided to can it and sell it on the shelves. Our first label for it wasn’t great, but its popularity grew organically through samplings out in the market and at festivals and events. As people tried it they couldn’t get enough. Just this summer, we redesigned the label and as a result are getting more pulls from the shelf than ever. The lesson here, pay attention to customer feedback and sales trends and use branding to improve upon the way you present that product to your consumer. It’s basic conversion rate optimization, really. Pay attention to your data, see what’s actually delivering results, and test and change things to help get even more out of it. And don’t be fooled by just a flashy design. Just because something looks great to some, doesn’t mean that it performs well. Check the data! Once you start building an audience, you need to keep them engaged. We’ve done this several ways for our cider company. For example, there isn’t a single industry out there that can’t benefit from using social media to build their brand online. Facebook, specifically, has been instrumental to building ours. At the moment we have a little over 6,000 likes and 5,000 followers on our Facebook page and the platform remains our primary form of communication with our audience. We use ads to promote events that we host at both locations and we respond to all messages we receive within minutes. We’ve also found that running promotions through Facebook has been a really effective way to build our audience. For example, when canning a certain batch of cider, our head cider maker (a.k.a. the hubs), sends out one can with an upside down label and he signs it. The person who finds it in their four pack and takes a picture of it, gets swag, a gift certificate, or tickets to an event that we host. Last year, we actually gave away several pairs of VIP tickets to an annual brewfest that’s attended by about 750 consumers. In addition to an active page, we have done everything from joining regional beer and cider associations to participating in their Facebook groups and local events. That’s allowed us to personally meet and develop relationships with highly-influential folks in our industry. The cider buyer whom we work with at Wegmans, one of the largest grocery chains in the Northeast, for instance, first learned of us through a Facebook group called FCBaa (Flour City Beer Appreciation Association). He takes this group's feedback and opinions about craft beverages very seriously, and orders based on their feedback. It’s been a huge part of our success with Wegmans. The group has also helped build our Facebook audience. Furthermore, we have focused on industry-specific social networks that have an audience of craft beverage drinkers. Our email list also continues to grow every day. I use HubSpot as our contact database and do my best to leverage the platform in my spare time. A simple email newsletter sign up has been the most effective conversion point on our website. Our emails see an average 29% open rate with high engagement. Regardless of industry, when consumers have opted in and have a real interest in your brand, email becomes a staple. Segment your email lists based upon expressed interest as it relates to your products and brand solutions and see your engagement levels skyrocket. In a previous career path, I sold radio ads. I’ve seen it work for some brands and not others. For us, it’s worked wonders to promote events and drive traffic around exciting giveaways or promotions. As a branding tool, though, the medium has not served us well. Just like I’ve experienced, it takes trial and error to determine which mediums work best. The sooner you can hone in on the channels that include people with an interest in your business category and target them both broadly and human to human - the more success you’ll see. Just like we refresh our packaging, we also refresh our website on a regular basis. Since we aren’t really focused on generating leads in the traditional sense from our website, we often update product images, venue images, and of course, keep our events list up to date. If the website doesn’t have pictures of the most recent products on the shelves, we can miss on an opportunity to capture a sale. It’s also a really great tool to help consumers learn more about products and ingredients. It’s our digital storefront and it’s important to give people the same experience and feel about our brand online that they would experience in person at one of our retail locations. The takeaway here is to always keep your content and website up-to-date. Refresh it to give your website visitors something new to look at. Your online presence should be dynamic. It should always feel relevant and not just be a static brochure like a website of the 90s. In the early days of our business, we were able to recognize that a couple of our wholesale partners were just not the right fit for us. It was difficult to terminate those partnerships but, by doing so, we’ve found great partners that have literally kept us in business and help drive the excitement of our brand on the streets. From the GM down to the merchandiser who stocks the shelves at the grocery stores and bottle shops and everywhere in between - each and every single person needs to understand your purpose and authenticity to build and promote your brand. Think about your partnerships. Do you have relationships with key influencers (no matter their position or level in the company) that can make or break the success of your brand? If not, get to work! These partnerships cannot only open you up to new business but can turn into expansion or even hiring opportunities. I like to say, be sure to level-up and level-down. If your key buyer was to get promoted tomorrow or leave their job, would the next person in line for their position or the person who is hiring to replace them already know you and like you and your brand? If the answer is not yes, you need to become a better partner to your partners. All of the above branding lessons are of equal importance. I see this both managing a brand and being an IMPACTer and working with brands. One thing alone doesn’t make a brand; it's a sum of everything you do. Care about all of it.